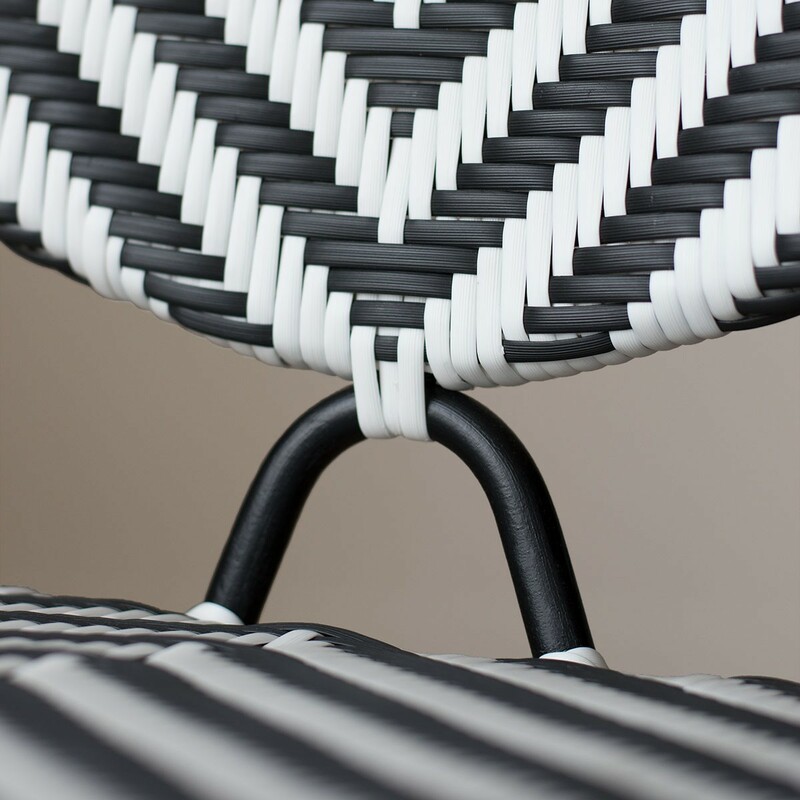 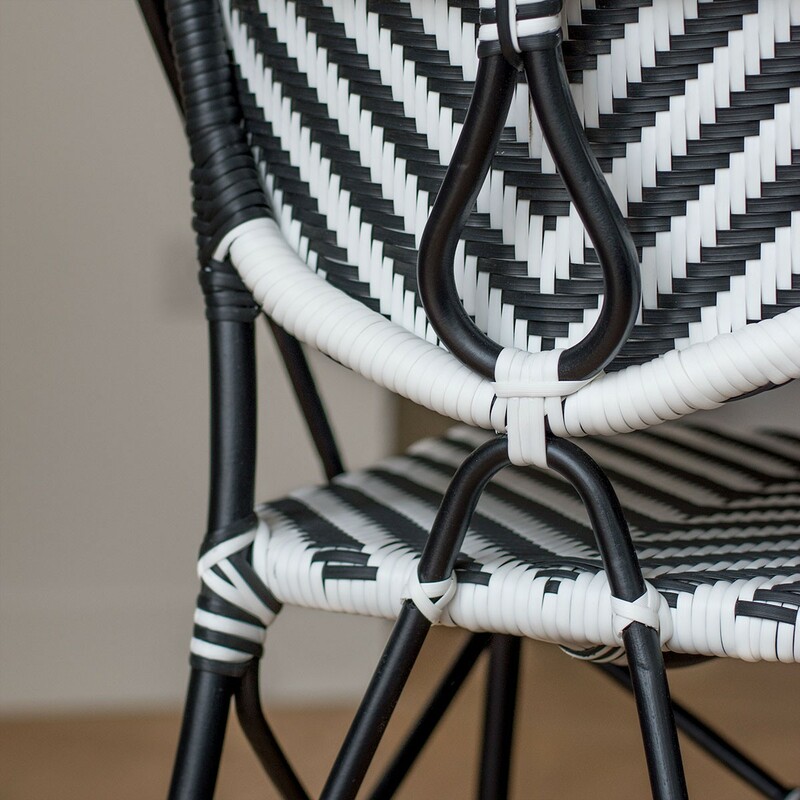 Blending traditional craftsmanship with striking design, this rattan chair is a chic take on a classic design. 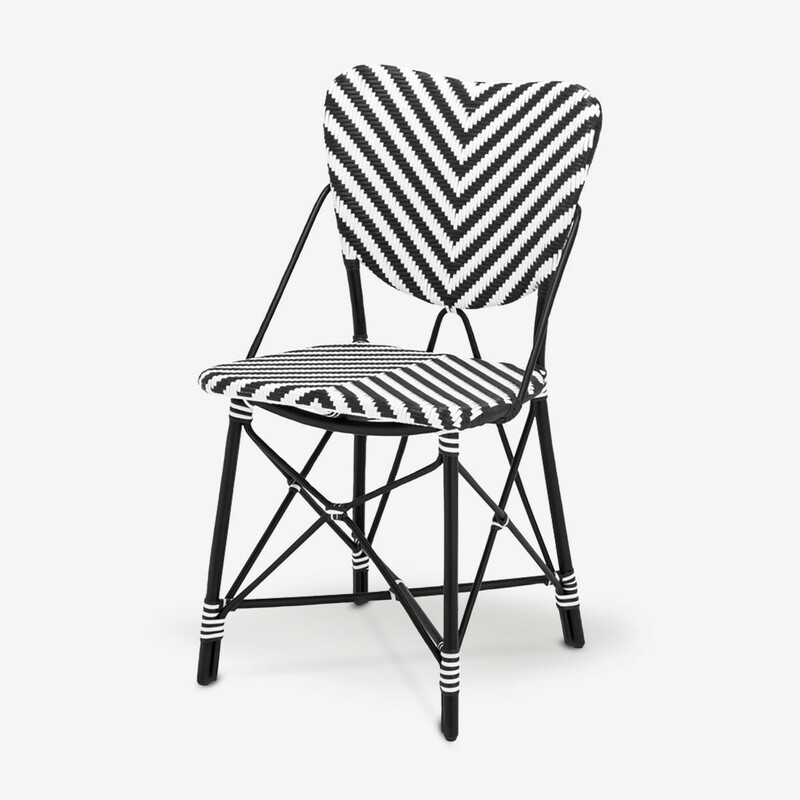 The black frame gives it a bistro feel, whilst woven chevron stripes in a graphic monochrome palette add a modern twist. 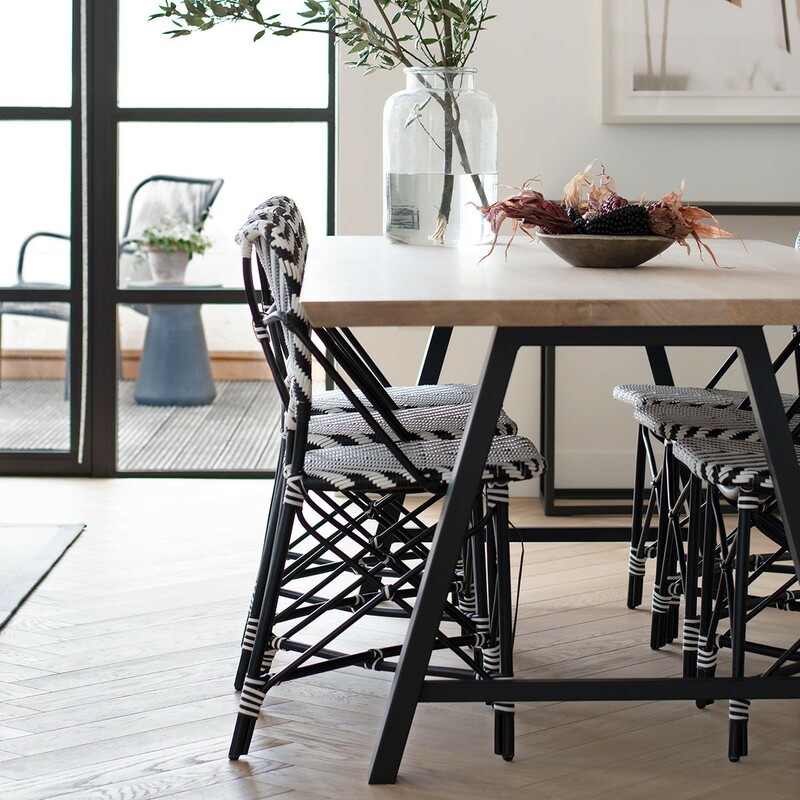 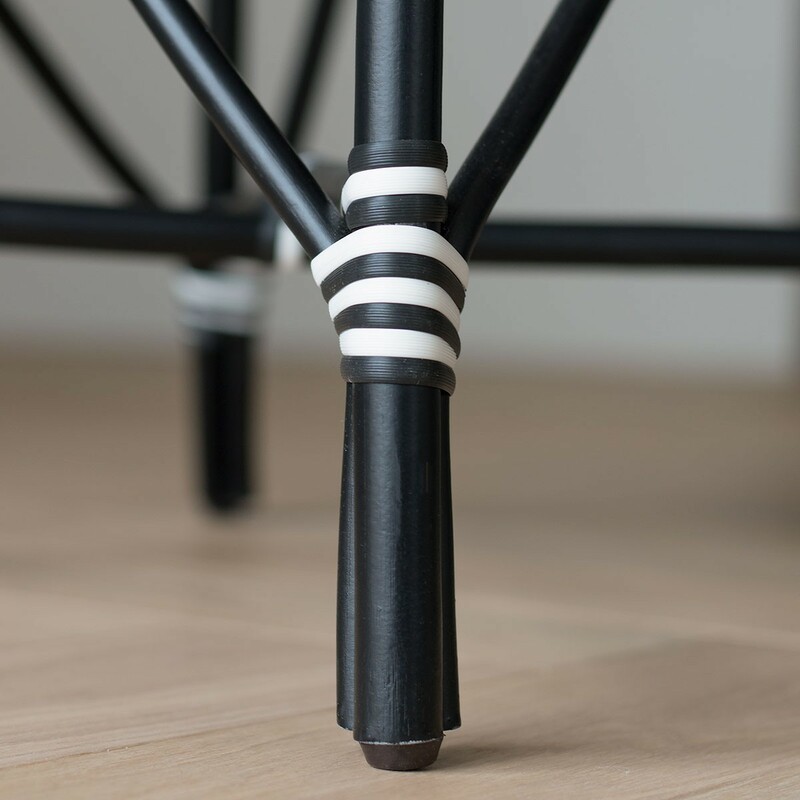 We love it as a dining chair sat around a black table.